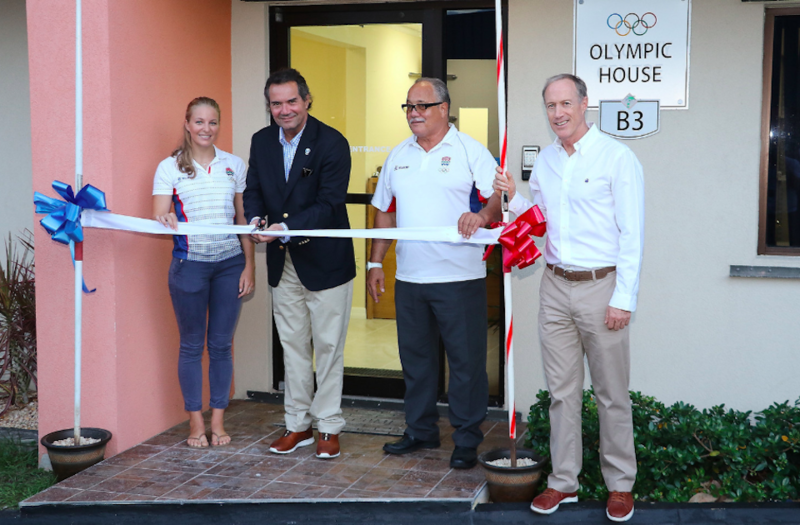 With the presence of Panam Sports President, Neven Ilic, Secretary General, Ivar Sisniega and every Olympic athlete to ever compete for the Caribbean island, the new headquarters of the Cayman Islands Olympic Committee were inaugurated on August 16. With a total contribution of USD 400,000 – comprised of 200,000 from the Olympamerica Program and 200,000 from the Infrastructure Program – Panam Sports helped make the dreams of Cayman Islands’ Olympic leaders and great athletes come true by opening its first Olympic House. The building consists of five offices, a training area, offices for the President, Secretary General and Vice President, a mini-museum depicting the history of the NOC, a small library as well as a Gift Shop to sell memorabilia and receive more resources for their athletes. The inauguration ceremony of the new facilities was attended by the highest authorities of Panam Sports, the Secretary General of the Cayman Islands NOC, Carson Ebanks, the Treasurer, Bernie Bush, as well as government officials. “This first Olympic House is a dream come true. We spent many years in the offices that President Donald McLean kindly gave us, but when President Neven Ilic became the new President of Panam Sports we fortunately were presented with this opportunity to establish our own office. We have to thank God for the support of Panam Sports, without them we would not have been able to create this Olympic House,” said Secretary General of the Cayman Islands Olympic Committee, Carson Ebanks. “I am convinced that this will greatly help the development of sport in this country. Hopefully more member countries can take advantage of the different programs that we are offering,” said Panam Sports Secretary General, Ivar Sisniega. After the opening remarks from the sport leaders, the Olympic Committee took the opportunity to recognize all the athletes who have represented the Cayman Islands in the Olympic Games throughout their history. The NOC also awarded the most outstanding athletes of the recent Barranquilla 2018 Central American and Caribbean Games where the island nation won three bronze medals in the Squash competitions. View photos from the Inauguration Ceremony of the Cayman Islands Olympic House.